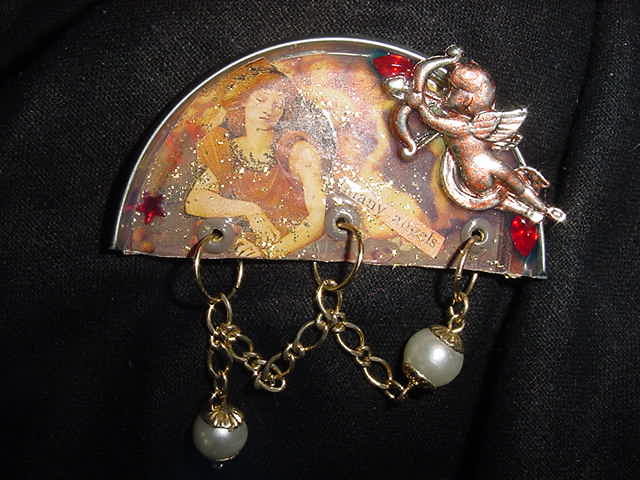 Sometimes you have to push for a challenge in the world of recycled/altered art. One day I picked up a lid from a frozen orange juice can and said….hmmm. Working with collage in small spaces is one of my favourite things fortunately, so this is the result. Yup, it does have a broach pin so it is wearable, but I think I will work a bunch of them into the ultra embellished projects for strong focal points. Or framed art work pieces as components. 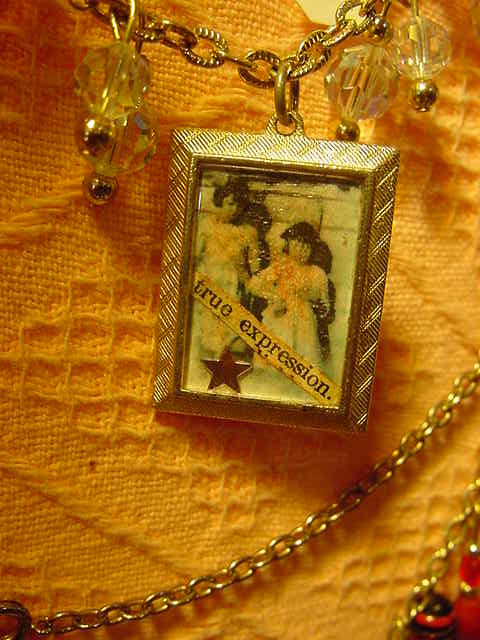 In fact, exploring how small a collage can go can be a lot of fun…this one is less than an inch square. Did I say something about the possibilities being endless?